If you don't own any new burgundy color shoes in your wardrobe, you might want to take a look at these burgundy ostrich mens shoes called the Siena by Belvedere shoes. The Siena are burgundy ostrich mens shoes features an Italian style split toe style made of all over ostrich leg skin that are fully hand crafted and will become an instant favorite. 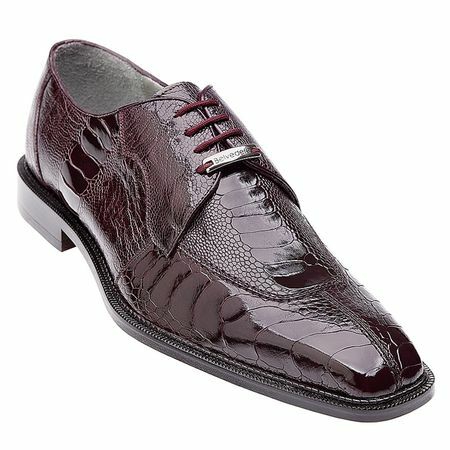 You'll love the compliments you receive wearing these head turning burgundy ostrich mens shoes by Belvedere.